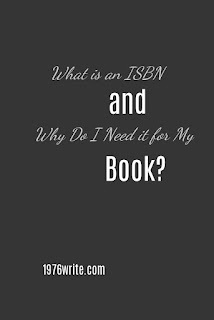 1976write: What is an ISBN and Why Do I Need it for My Book? 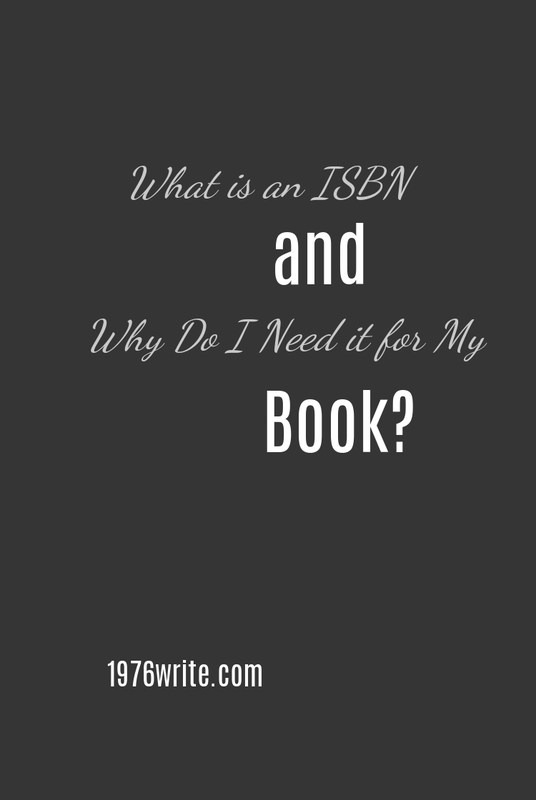 What is an ISBN and Why Do I Need it for My Book? ISBN stands for International Standard Book Number, each ISBN contains 13 digits about your format, language and publisher. This enables your book to be entered into a database which as available to lending libraries, bookstores and wholesalers. One of the important basics of publishing your book. All ISBNs are created in a format that can be used as a scanner for booksellers. Mostly displayed on the back of a book and also on the copyright page of a book. Do I Need to Buy an ISBN for My Book? If you're selling your book through your own platform you don't necessarily need an ISBN number. An ISBN is required if you're selling through a major bookstore, such as Amazon. Kindle Direct Publishing is Amazon's print-on-demand service, you automatically get an ISBN barcode for free. Other self-publishing companies will provide you with an ISBN to generate a barcode, usually this will be incorporated within your publishing package or at a small cost. Like Kindle Direct Publishing, they become the publisher of your work. When you print through a large publisher such as Amazon you don't need to deal with the registration and data management of your book. Do I Need an ISBN for an Ebook? No you don't need to worry about any kind of code for an eBook. Kindle Direct Publishing has it's own system known as the ASIN (Amazon Standard Identification Number). When you use Kindle to publish your eBook, you'll be given one of these numbers for free. Other retailers such as Barnes and Noble and Apple's iBook, like you to have an ISBN, but don't automatically require it. You don't need to waste your money buying an ISBN, but there's nothing stopping you if you want to go ahead and purchase one. What you mustn't do is use the same ISBN number for your eBook as you do for your print book. Every format you have published requires a different ISBN code. This means you can't use the same code for your eBook, as you do for your paperback, even if it's the same title. How Do I Buy an ISBN? Anyone can purchase an ISBN, You can visit the International ISBN Agency (https://www.isbn-international.org/) to determine which of the 150 national agencies covers your region. You're required to purchase from whoever supplies the country you live in. Depending upon your location, the cost varies, depending on government funding. For instance, in Canada the cost is free, in the US prices can start from $125 for one ISBN number. https://nielsenisbnstore.com/home/isbn, you need to register as a user and add the quantity required to your basket. It's currently £89 for registration and the purchase of one ISBN, or for a block of ten £159. After you've bought your ISBN you need to register your books details, such as publication date, genre, and number of pages. This can be done at the same time of purchasing, or at a later date. Information is usually entered immediately after payment, for ISBNs bought in the UK. If you haven't got all of your books information, complete what you can as precisely as possible, because you may not be able to change it later. Your book details are entered into a database for all book shops worldwide. You'll start seeing your book appear on websites such as Amazon, with the information you gave of the physical properties of the book and date it was published.